In an effort to talk around last week’s power blackout in South Australia to a wider audience, The Australian published a number of infographics on pg. 6 of their daily edition on Thursday, the 18th of October, 2016. 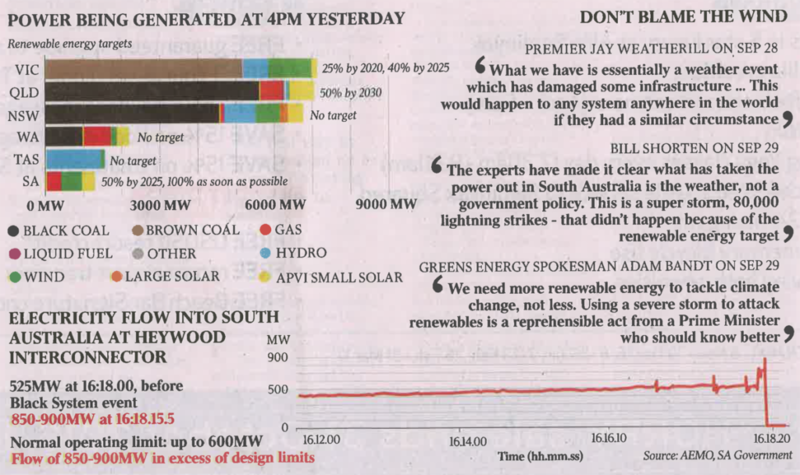 The Australian attributed this image to the SA Government, because they accessed the live chart on the SA Government website. On the NEM-Watch portal here.